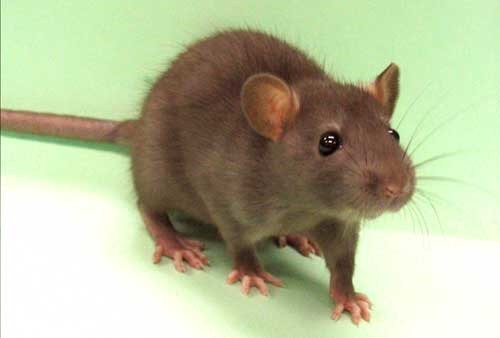 Rat meat contains diseases, bacteria and much more gross $#!T. Have it cleaned and rid of bacteria to make it safe to eat. Step 1 Collect all of the jackass team and take them to dinner. Have at least One Person who knows what they are eating. Step 2 Let the waitress ask if they would like to try the new "Meat" they have. Have the word "Rat" translated to Romanian which is: sobolan and put it into a meal name. Ex: sobolan curry or chili of sobolan. Step 3 Cook the "sobolan" and serve it into all the meals except for who knows! Step 4 Let them eat and TRY not to laugh!! Try biting the end of your Tounge to prevent laughter. Step 5 After the finish, tell them what sobolan means and enjoy how they react! If they still don't get it, slap them and tell them it's RAT meat!! !